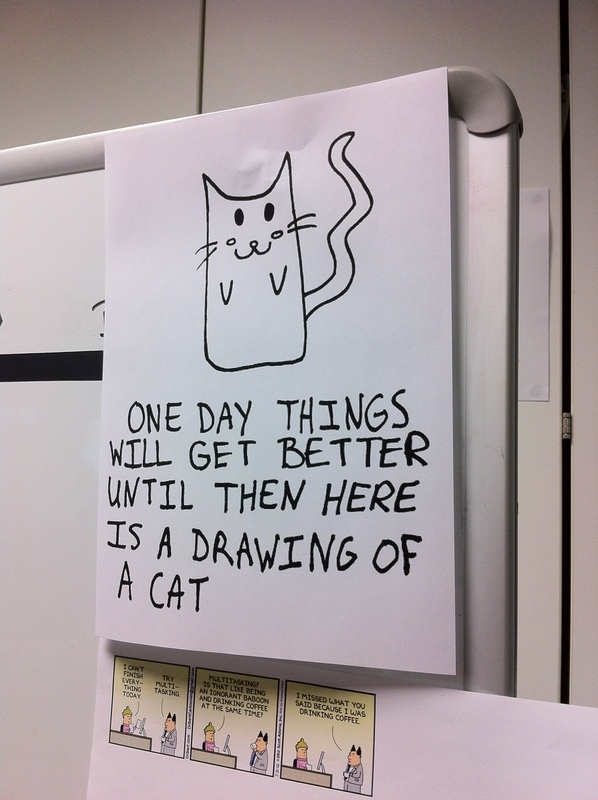 This was put up in my office a few days ago by one of the developers I believe – love it. My new job is going well, I’m very busy, but doing what I love, graphic design. I read a few months ago “Happiness is a journey, not a destination” – as corny as that sounds and normally the sort of quote that would be in Helvetica on top of an unrelated photo of the Eiffel Tower, I like it. Too many times I feel like I’m working towards a final outcome where I’ll be happy, but I should be happy now, and living life now.